The present diary study investigates the moderating effect of passion on the relation between activity engagement and daily positive affect. In line with past research (Vallerand et al. 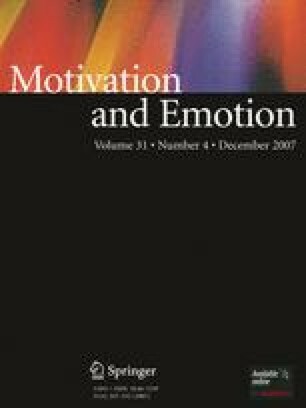 2003, Journal of Personality and Social Psychology, 85, 756) it is suggested that people with an obsessive passion have more difficulties putting their passion aside to invest themselves in other activities, to a point where they fail to experience positive affect during these activities. A sample of 154 college students reported their daily activity engagement and positive affect over a 2-week period. HLM analyses show that the more people have an obsessive passion the more they experience accentuated decreases in positive affect during days when they do not engage in their passion compared to days when they do. In contrast, harmonious passion predicts daily positive affect on days when people engage in their activity. These results are discussed in light of previous research on passion and positive affect. This research was facilitated by a doctoral fellowship from the Social Sciences and Humanities Research Council of Canada (SSHRC) to the first author and funded by grants from SSHRC and the Fonds de Recherche sur la Société et la Culture (FQRSC) to the second author.